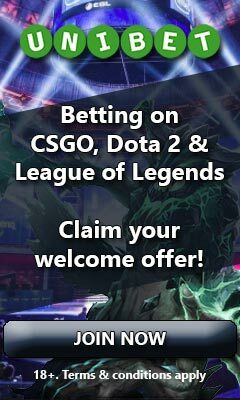 Get started with PUBG betting today! In a world where eSports is growing bigger and bigger for every day, it’s to little surprise that the highly competitive Playerunknown’s battlegrounds has become a part of the scene. Only a few months after release, several well-known eSport organizations were already battling it out for prize pools of hundreds of thousands of dollars while a huge fan base was following the action on twitch. Not only has this exciting game become an eSport with a promising future, but the vast popularity of it has also made PUBG betting available. That is placing real money bets on the winner and other outcomes of professional matches taking place in PUBG. 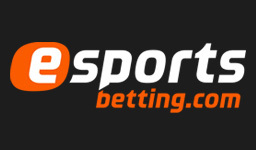 There were initially only a few eSport betting sites covering the game, but lately it’s been possible to find odds offered on matches on plenty of different operators. In the following guide we’ll tell you everything you need to know about betting on PUBG, which includes giving you information about the best PUBG betting sites, the most valuable bonuses you can get for betting on the game, what type of different markets you’re able to find offered and much more! Although PUBG is a fairly new addition to the eSports genre, there are quite a lot of sites that you can visit to bet on the game. If you’re looking for a high quality experience, it is however important that you make your choice wisely. 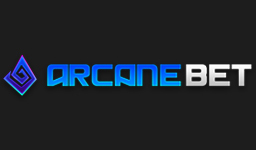 To make this as easy for you as possible, we have played on and researched a huge number of sites and narrowed these down to five that we certainly believe will give you an amazing betting experience on PUBG. In the list below, you’re able to find these five sites and all of the strengths and weaknesses that they have, which will make it easy for you to choose the one that best suits your needs. If you’re just interested in knowing about the best bonuses you can get for PUBG, we have a separate section that covers this further down in the guide. PUBG isn’t the game that has the widest variety of entertaining markets offered for it, but there are indeed a couple of ones that you’re able to come across. We have listed all of these below to give you a good overview of them. Please note that even though we have seen all of the above markets being offered, all betting sites won’t always have them available. 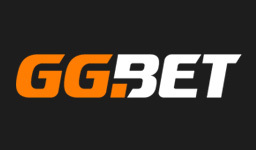 For the best chances of finding a wide selection of markets while placing your PUBG bets, it’s highly recommended to choose among the top eSports bookies that have we listed on this page. These are the ones most likely to have the best coverage of them, which is part of the reason why they are the best betting sites for PUBG. Why should I bet on PUBG? Well, if you already enjoy following the action of the game on Twitter, you will absolutely love having a bet placed on it. There’s nothing that can up the excitement of a match such as having a bit of money at stake. If you’re just in it for fun, it doesn’t have to be a huge amount, but just something at stake will give you that extra buzz of excitement when you’re following a player sneaking through the bushes, dodging bullets and taking down the competition. It’s not just all about entertainment though, because it is actually possible to make some extra money when betting on Playerunknown’s battlegrounds. As you may or may not already know, the odds that you find on matches are manually selected by a team or a single person. This basically means that your chances of winning in the long run depend on your knowledge compared to theirs. If you have a passion of following professional matches and know how well different teams perform in PUBG, you might be able to find flaws in the odds and take advantage of these to make yourself a nice profit. Apart from a having a good knowledge about the professional teams in PUBG, taking part of valuable bonus offers is one of the best ways to increase your chances of making a profit. Therefore we have gathered some of the best welcome offers that you can find, listed below. Once you have used these, we also recommend visiting our bonus page for more offers. On this you’ll find temporary campaigns that eSport operators are running every now and then, which we have listed in one place for your convenience. bet is won there is no wagering! if lost up to a total of €13.37. 6 times on minimum odds 1.80. The maximum cashout is €30. It’s very safe to say that the future of betting on PUBG is looking very bright. As a matter of fact, if we could bet money on the future of it, we would! Not only has the game taken the world by storm and become the most watched one on twitch, but the eSports industry is constantly growing, with betting included. The developer of PUBG has also mentioned his ambitions of making PUBG into a popular eSport and although he’s claiming that there is quite a bit of work left, we’re already seeing hundred thousand dollar prize pools offered for the game. Although a lot of operators are already covering the game, it’s expected that we will see even more eSport betting sites offering odds on PUBG. We will probably also find more entertaining markets offered, which is most likely to be done by the top sites mentioned at the top of the guide. 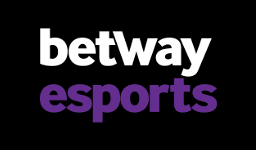 If you as a fan would like to support the growth of Playerunknown’s battlegrounds as an eSport, this is actually possible through betting. Well, betting itself won’t give the professional teams in PUBG any money, but sponsorship deals made between them and betting operators definitely will. Now sponsorship deals won’t just happen for any reason, but betting operators need a good one to market themselves through professional PUBG teams. This reason is of course that the betting operators see a huge number of people who might be interested in PUBG betting, which is where our bets placed come into meaning. The more bets that we place, the more messages are we sending that the interest for betting on PUBG is a big one. When the betting operator notices this and the huge audience of people that are already watching the game, it’s likely that sponsorship deals will be made. 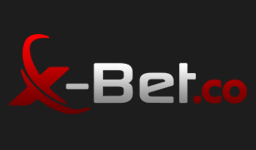 This way the betting operator’s logo may for instance be seen on the clothing of professional teams, while the teams receive a well needed economic boost, allowing them to grow.